She doesn’t know it yet, but my daughter Olivia lives in a world that is deeply and intensely global and multiracial. Miami. Once, while passing through Little Havana, I stopped at a drive-through Subway and was in the process of ordering a turkey sandwich (in English) when the cashier turned and made a comment to her coworker. Can you imagine? An American? Around here? It’s precisely that kind of remark that freaks out xenophobic Americans. Our country’s axis is shifting dramatically. These are seismic, earth-shattering jolts. Gone are the old civil rights-era discussions about black and white. Today, any conversation about race and families will have to cross borders. My story is a part of this trend. In my memoir, The Girl in the Yellow Poncho, I describe being African American with family roots in Chicago’s South Side and small-town Arkansas. I’m also white with a Dutch-Amish last name and a father who spent his youth hanging out with what he calls “vatos locos.” To add to that pot, I’m married to a Spaniard, living in a largely Latino city, and raising a brown-skinned child of African American and Southeast Asian descent. Here in Miami, our friends are from Haiti, Brazil, Lebanon, Pakistan, India, Dominican Republic, Mexico, Singapore, Colombia, El Salvador, Canada, Germany, Nicaragua, and Spain. Here in Miami, I feel the tectonic plates heaving more profoundly than anywhere else. Often, as I glance around the room at dinner parties I’m the only American at the table. 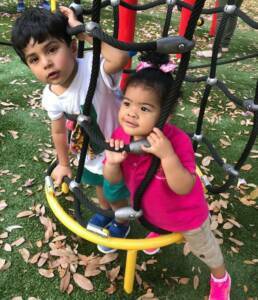 Among Olivia’s school friends are Rudy, who is Lebanese. Julian, of Jamaican, Italian and Cuban descent. And Abbas, who is Indian and Pakistani and was born in New Jersey to parents who lived for many years in Dubai. Abbas speaks fluent Spanish, English and Urdu, and as a Muslim, will soon learn Arabic. It’s time we tell these stories in much more vivid detail. The era of simplistic, black-white racial binaries is over. So is the myth of a “colorblind” society, which is exactly what we don’t want. Instead, we should strive to see the contours of the world with more definition, not less. Instead, we should strive for a new lens, a new filter. And more bright, open light. 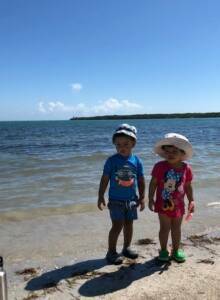 This entry was posted in Kristal Brent Zook and tagged America, Americans, biracial, identity, memoir, Miami, mixed race, multiracial, race, racial. Bookmark the permalink.